Life insurance underwriting is the process the carrier goes through to approve your policy. In this life insurance underwriting guide we will give you a step by step on what to expect when going through the approval process. How long is the life insurance underwriting process? So, you need life insurance and you prefer to have it today. Maybe you already have a life insurance policy, but it is expiring soon. Or perhaps you don’t have a life insurance policy at all. Either way, you need to go through the life insurance application process, and you want to know how long it is going to take. There are different types of underwriting to be aware of. You can go with guaranteed issue life insurance where there are no exams and no health questions. You simply need to apply for the coverage as a U.S. citizen in approved states and meet the age criteria. Guaranteed issue policies are the easiest policies to get, with approval times in minutes to around a week. The next step up would be simplified issue life insurance. Simplified issue requires no paramedical exam and there are only a handful of health and lifestyle questions. Some simplified issue policies require a background check, while other policies don’t even take the time to do that. Simplified issue policies offer quick approvals between minutes to days. Following simplified issue would be life insurance with no medical exam. No exam life insurance provides limited underwriting since you do not have to take the life insurance medical exam. Typically there is still background checks, including a check into the MIB Medical Information Bureau, Prescription Database (Rx) and Motor Vehicle Records (MVR). No exam policy approval times can be as fast as 15 minutes. Accelerated underwriting life insurance is still considered “fully underwritten” coverage but you can avoid blood and urine samples due to predictive underwriting that takes into account big data from multiple sources. The insurance underwriters will perform the typical backgrounds checks, including MIB, Rx and MVR. Accelerated underwriting approval times can be as fast as 24-48 hours. Finally, the most through coverage is considered fully underwritten life insurance. You have to take the life insurance medical exam, including a blood and urine sample. In addition, you may be required to do an EKG depending on the face amount you apply for or based on your age. And the typical background checks will be done, including MIB, Rx and MVR. In addition, your credit history and any bankruptcies may be considered if the company thinks it needs financial underwriting to prove an insurance interest. Some fully underwritten policies can have approval times in 72 hours after the medical exam, but most approvals take around 2 weeks on average. Check out these great term life insurance quotes to get a better idea of what you can expect to pay for your coverage based on your age. There are many advantages of life insurance and different people need life insurance for different reasons. For the majority, protecting a loved one or providing for a lost income is the primary motivation. However, for others, the primary concern has to do with concern over getting life insurance to cover an SBA loan, Key Man Life Insurance, or funding a buy-sell agreement with life insurance. Whether you need life insurance with an exam or with no exam. Each company has different underwriting guidelines. Some companies have become known in the industry for the niches they fill. Niches such as being the go to company when applying for life insurance with diabetes, cancer, heart disease or dangerous occupations. In addition, each policy has its specific underwriting guideline criteria. Some policies are easy to qualify for because there is little to no underwriting criteria. Other policies are harder to qualify for because of more stringent underwriting guidelines. If you just want to activate a life insurance policy as quickly as possible consider instant issue life insurance policies that do not require medical exams and ask very few questions. These policies are automatically underwritten, so can take as little as 10-30 minutes for your life insurance approval. Sometimes after all the paperwork is done, your policy can be active within 24 hours. Within one day, you can fill out your paperwork and be covered with quality life insurance. However, with a medical exam policy this is typically the exception and not the rule. At times, no exam life insurance will take around a week to get activated. Though you won’t have to take a paramedical examination, you may be asked to set up a phone interview, during which the life insurance agent will ask you questions similar to those on your application. After that, they will process your life insurance policy. This will take a few days, to a week to complete. How long will it take to get approved for life insurance with a medical exam? Life insurance policies that require a medical exam are typically the preferred choice for many people. Primarily, this is due to fully underwritten coverage being less expensive than no exam coverage. However, due to advances in technology and new innovation in underwriting, many companies offer competitive policies in terms of price for clients seeking fast and easy life insurance policies. Life insurance requiring a medical exam has you first fill out your applicaiton with your agent. Some companies may have a follow-up phone interview. From there, you will schedule and take your medical exam. You medical exam consists of checking your height and weight, taking your blood pressure and pulse and requesting a blood and urine sample. The examiner then sends your labs to a company that performs the necessary blood analysis and urinalysis. Sometimes your results are so good you are actually bumped up to a better health rate class. Other times you can be rated lower than you applied because of some issues in your blood or urine sample. One of the main factors that can stretch out an approval will be due to the face amount, which is the death benefit applied for. 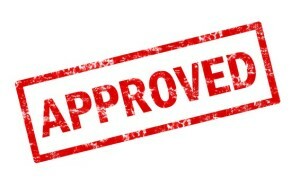 The requirements for approval become more stringent the more life insurance death benefit you apply for. As a result, typically someone applying for a million dollar life insurance policy will be approved faster than someone applying for ten million dollar life insurance policy. Another factor that can prolong the process is the type of policy you choose. Fully underwritten term life is usually the easiest to get, with guaranteed universal life following close behind. For other policies, such as cash value whole life insurance or indexed universal life, the approval process can take longer. Finally, your age has a lot to do with how long the life insurance application process can take. The older you are the shorter your life expectancy. As a result, companies will have higher standards and will be more cautious approving you for your insurance coverage. But don’t worry, we can help place you with the most senior friendly life insurance companies in the marketplace. If you apply for a traditional life insurance policy today, then you could possibly be issued the policy within 7-14 days. In that scenario, you will have to set up your medical exam almost immediately, as it will take 3-5 days more to get approved, and then 5 more days to be issued the policy. What happened during those 3-5 approval days? An underwriter is the person who gets to decide if a life insurance company will issue you a policy or not. After you fill out your application and take a medical exam, the underwriter swill review everything and assess your risk level. The life insurance background check consists of looking at information provided by the Medical Information Bureau (MIB), prescription database, motor vehicle records. And in certain cases, a look at your credit history, including any bankruptcies. If you seem to be relatively low risk, then the life insurance underwriters should have no problem underwriting the policy. If, however, you have any red flags, he/she may think twice before underwriting your policy, or they may charge you a premium based on what life insurance health rate class you are assigned. If you have a complicated medical history, then you may be asked to provide your medical records. This happens when the underwriters needs more information before he can make a decision about your life insurance approval. It takes time for your doctor to send physician statements. If you’re lucky, and your doctor can send the records right away, then the time it takes for the underwriter to review and get back to you with a decision will be much less. However, if it takes your doctor a few weeks to send your medical records, then it’s going to take a while for you to get life insurance coverage. In this scenario where the underwriters request additional information from your primary care physician you can count on underwriting to take between one to three months to get an active life insurance policy in force. The best way to get your life insurance coverage as quickly as possible is to have an expert guide you through the underwriting process. TermLife2Go will help you do everything smoothly and effectively. We start by helping you to pick the best company and policy for your life situation. You won’t have to spend days on the internet trying to figure out the difference between various life insurance companies and the policies they offer; instead, we will help you shortlist some of the best according to your medical history, age, lifestyle, and current health. TermLife2Go then guides you through the entire life insurance underwriting approval process. We do things in a straight-forward manner that will reduce the amount of time it takes to get your life insurance policy approved and activated. If you are interested in knowing how TermLife2Go can help you to get the best life insurance policy possible in the shortest amount of time, then contact us today for a free consultation. Thank you for reading our article, Best advice on How long does life insurance underwriting take. Please leave any questions or comments below. Previous Post: Life Insurance Approvals for Amphetamine Users! Next Post: Life Insurance for Marijuana Users Including No Medical Exam Options!